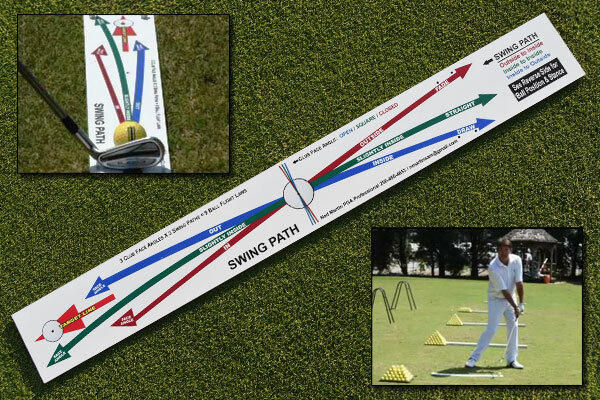 Keep your swing on the right track with the Swing Path Alignment Board. This innovative golf training board is based on the principles of physics. 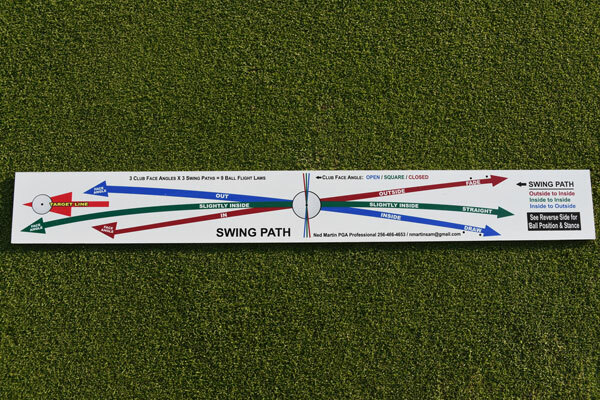 The Swing Path Alignment Board has two sides. One side is for working on club face angle/swing path and shaft lean. The reverse side diagrams placement of stance for correct ball position for each club and is also a putting track to monitor putting stroke. 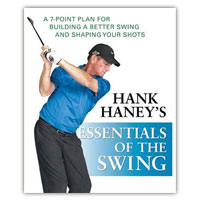 It is simple and easy to use - just place your ball on the board and hit shots. Save time and money. 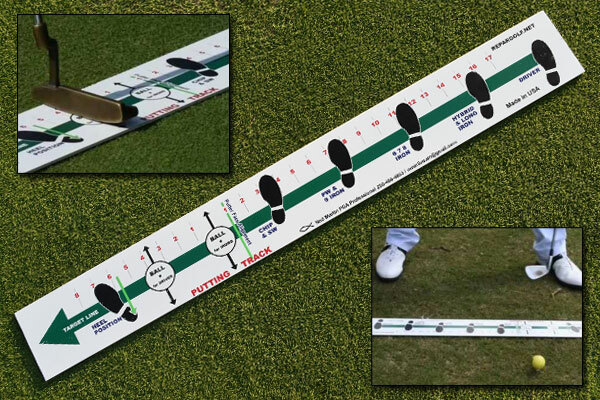 Be your own golf coach with the Swing Path Alignment Board. 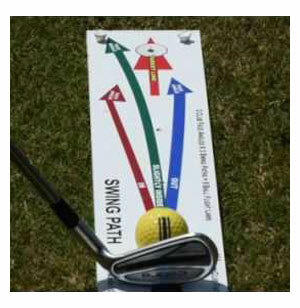 Two-Sided Swing Path Alignment Board. The tool is a self-teaching board that is simple but effective! 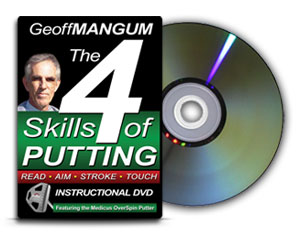 It teaches four fundamentals: Swing Path, Shaft Lean, Stance, and Putting. One side is for working on club face angle and swing path. The reverse side diagrams placement of stance for correct ball position for each club. Also, a putting track to monitor putting stroke. 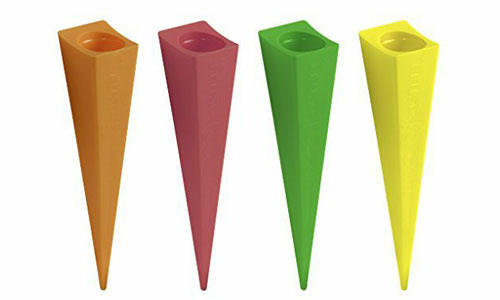 Made from durable, high-impact plastic. Hit the shots right off the board. Fits in your golf bag for easy access.